Logical reasoning tests (also known as critical reasoning tests) are designed to assess a candidate's ability at skills such as how to interpret patterns, number sequences or the relationships between shapes. As such they have much in common with diagrammatic tests, as well as abstract reasoning tests and inductive reasoning tests. There are also verbal versions of logical tests, examples of which we'll cover in more detail below. Unlike numerical or verbal reasoning tests which ask candidates to say if a statement following on from a short passage is true, false, or impossible to tell, logical reasoning tests assess a candidate's ability to use structured thinking to deduce from a short passage which of a number of statements is the most accurate response to a posed question. This involves the ability to isolate and identify the various components of any given argument. Logical reasoning tests are frequently used during the application process at investment banks, accountancy & professional services firms and consulting firms, among others. The tests are usually provided by an external supplier, such as SHL or Kenexa. The most common form of logical reasoning test you'll come across is the diagrammatic version, which we'll cover first. As some employers also like to use verbal logic tests, we cover how to tackle those, with example questions, in the second section. These types of question require you to look at some data, identify the pattern or rules, and then spot which object does not meet those rules. Watch out for relative position, number of items, relationship between items, colour, shape, and orientation of shapes: there are many different variations on these rules and there may be some extraneous data in there that complicates the rules. Let's have a look at a couple of examples. And if you're looking for further ones to try, take a look at these practice test packages. In this question, some of the squares have three items in and some have four – you need to work out whether or not that is important. In this particular case, there are two rules. The first is that the largest shape must be grey, and the second is that the bottom shape must be black. The odd one out is therefore C, as the bottom shape is stripey and not black. This type of question requires you to look at the patterns in the squares and understand their relationship to one another, so as to identify the missing square. There are three rules to spot in this question. Firstly, there is a relative positional rule: the position of the black square corresponds to the position its square holds within the diagram. Secondly, there is a movement rule, in that the circle moves around the boxes in a clockwise position. Finally, the arrows in the first and third columns are reflections of one another. The correct answer is therefore C.
Verbal logic tests always consist of a series of questions (usually 20 to 30) based on short passages called stimuli. Each stimulus takes the form of an argument - a conclusion based on evidence. You will need to understand the stimulus to answer the questions based on it. Common types of questions include weakening, strengthening, assumption, main point, inference, and parallel logic. Each is designed to test your ability to understand, analyze, evaluate and manipulate arguments. The best approach to tackling logical reasoning tests entails being an active reader. This means thinking about what you're reading; paraphrasing the complicated parts; determining the topic, scope, the author's purpose and passage structure, and author's voice; and asking yourself questions about the passage. One type of logical reasoning question involves identifying an assumption. An assumption bridges the gap between an argument's evidence and conclusion. It is a piece of support that is not explicitly stated but that is required for the conclusion to remain valid. When a question asks you to find an author's assumption, it's asking you to find the statement without which the argument falls apart. In order to test whether a statement is necessarily assumed by an author, you can use the denial test. Simply deny or negate the statement and see if the argument falls apart. If it does, that choice is a necessary assumption. If, on the other hand, the argument is unaffected, the choice is wrong. "Edward plays badminton for Epsom High School. Therefore, Edward must be over six feet tall." In this statement, the second sentence is the conclusion and the first sentence is the evidence for it. However, in this case the argument is not complete. The piece that is missing is the assumption. From the information above, we can rephrase the example as: "All badminton players for Epsom High School are over six feet tall". Now we can use the denial test. If it was not true that all badminton players for Epsom High School are over six feet tall, then we could not logically conclude that Edward must be taller than six feet. It would be possible that he was, but it would also possible that he was not. By denying the statement like this, the argument has fallen to pieces; it is no longer valid. This is our proof that the statement above is a necessary assumption of this argument. "If all beaches were publicly owned, we would have to rely on government funds to maintain them. It is true that more people would have access to the ocean and beaches, but at what cost? If the beaches are not cared for adequately, soon there will be nothing left worth having access to. We should consider carefully before nationalizing more coastal property." A - The public does not want additional access to beaches. B - The government is currently responsible for the maintenance of all public and private beaches. C - The public already has some access to many beaches. D - Other property has been nationalized in the past, with no complaints from the original owners of the property. E - Some privately owned beaches are not well maintained. The evidence is that, while nationalizing will allow more people more access to beaches, it could also lead to worse beaches. The author points out that access to beaches is only good if the beaches themselves are cared for adequately and are therefore desirable. The author's conclusion is the last sentence: We should consider carefully before nationalizing more coastal property. So, the author believes we have reason to be concerned that the beaches won't be taken care of as well as when they were privately owned. Note that nowhere is this claim supported; it is assumed. So the answer choice must deny the central assumption and imply that the government would do a good job taking care of beaches. Choice two agrees with what we want, by saying that private beaches are cared for by the government. So, if the government were to nationalize those beaches, nothing changes: It should take on no new maintenance obligations, and we have little additional cause for concern about dirty beaches. Practice sample diagrammatic IQ tests. Many test publishers also provide practice tests that you can access, such as Graduate Monkey and JobTestPrep; this is certainly worth doing. 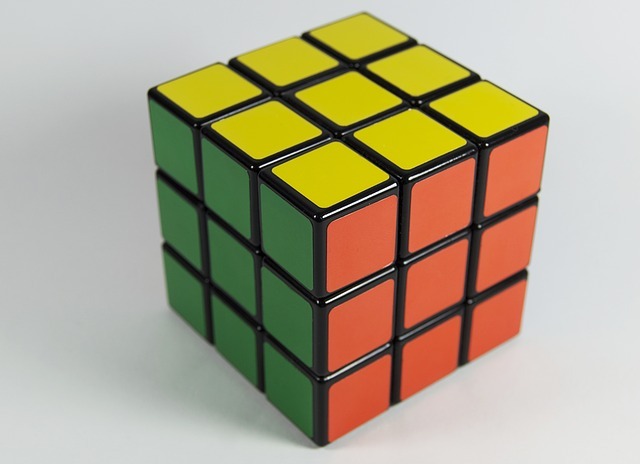 It can be useful to develop a mental checklist of strategies to solve logical reasoning questions, such as a list of different rules that govern size, shape, number etc. This can help you to work more methodically in the test. Look at one rule at a time. There may be extraneous data within the question, which is designed to confuse you. Focusing on a single aspect can help you work out what is important and what's not. Manage your time. Sometimes you will come up against a question where you just cannot see the answer. Tempting as it can be, don't spend too much time on it. Move on and if you have time at the end, go back and check it. If you’re struggling to find a pattern, sometimes there are clues in the answers. Look for any patterns or themes in the possible answers; that might help you spot what is important within the question. For example, if you have a sequence of shapes and all of the answers are squares or triangles, you know that the next shape in the sequence must be either a square or a triangle, which could help guide you as to why. Below is a logical reasoning test for you to try out. It was created by WikiJob and JobTestPrep in association with psychometric experts, and is closely modelled on real tests. Deductive Reasoning Tests. These measure your ability to take information from a set of given premises and draw conclusions from them. Abstract Reasoning Tests. Tests that assess a candidate's general intellect and ability to work out new concepts and abstract ideas, rather than testing their prior knowledge. Non-Verbal Reasoning Tests. Covers a range of aptitude tests that assess your inductive, diagrammatic and spatial reasoning capability. What Are Psychometric Tests?. A full primer on the range of psychometric tests and how best to prepare for them.